This striking deciduous tree with its attractively striped bark, forms a bush or a small tree. 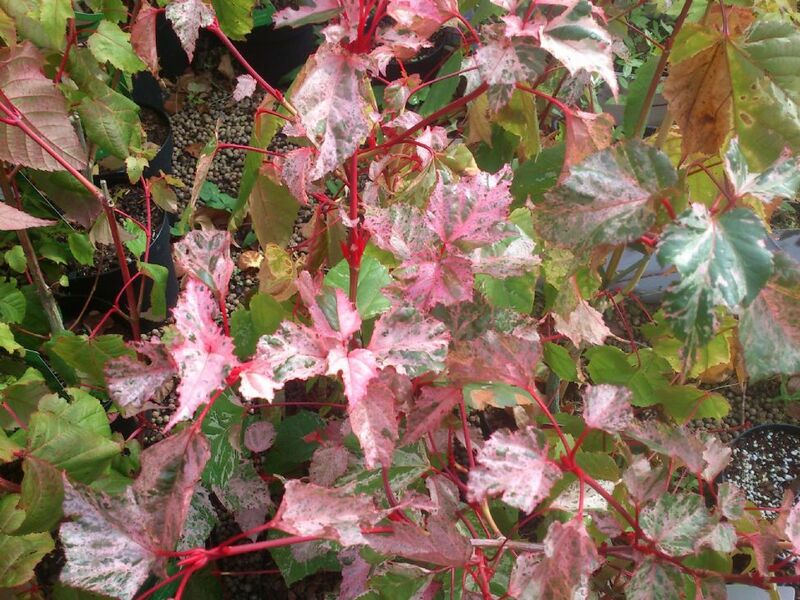 The young variegated leaves have lovely pink white and green colour. The mature leaves are green or green and white. 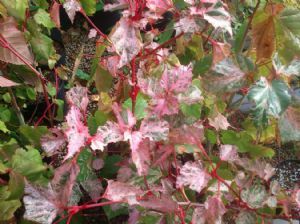 The bark on the young branches are red, while the bark on the mature branches and trunk resemble snake skin. The combination makes the tree extremely decorative even in the winter. Cut back long shoots in March to promote compact growth. Tolerates sun or dappled shade. Height 100cm, width 75cm.